When the pressure came on during last year's presidential primaries, Barack Obama dropped his pastor and spiritual mentor of 20 years like a hot potato. While Obama regarded Rev. 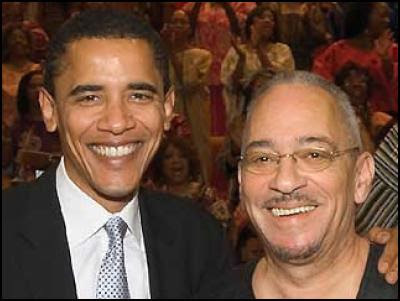 Jeremiah Wright as a major liabilty, the now retired pastor still has some friends in Chicago. On April 18, the National Alliance Against Racist and Political Oppression (NAARPR)awarded former Reverend Wright its highest honour. Patricia Hill, executive director of the African American Police League; Jane Raley, senior staff attorney with the Northwestern Law School; Judith Stuart, an anti-prison activist, Rev. Jeremiah A. Wright, retired Pastor with the Trinity United Church of Christ; and Karen Yarbrough, Illinois state representative. Jane Raley is a colleague at Northwestern Law School of Obama's friend and former neighbour Bernardine Dohrn. 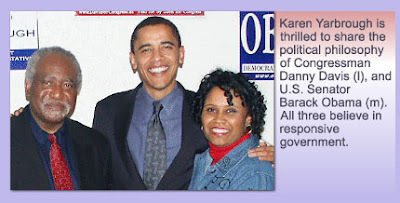 Karen Yarbrough is an Obama supporter who "shares the philosophy" of Obama and Congressman Danny Davis-who happens to be a member of Democratic Socialists of America (DSA) and has close ties to Communist Party USA. What is NAAPRPR and why does it matter that it should honour a man who helped shape the views of the world's most powerful politician? What can a study of NAARPR possibly tell us about Barack Obama? “As activists we’re always protesting what we’re against, but tonight we are celebrating people who are long distance runners in this struggle,” said Ransby. “Tonight we’re here to seek inspiration and highlight the fight to forge lasting change,” she said. Ransby also noted the historic election of President Barack Obama last November was a detrimental blow to racism in this country. Barbara Ransby attended Columbia University in New York from 1980 to 1984. Barack Obama was there from 1981 to 1983, while his Chicago friend, former Weather Underground terrorist Bill Ayers (husband of Bernardine Dohrn) studied at nearby Bank Street College of Education during the same period. Participants came as individuals but represented connections to groups ranging from New Afrikan People's Organization, Black Workers for Justice, The Labor Party, The Communist Party, The Malcolm X Grassroots Movement, African American Agenda 2000, The Chicago Ida B. Wells Forum and the Committees of Correspondence. Democratic Socialists of America should also have been added to that list. Jarvis Tyner and Amiri Baraka were Communist Party members. Manning Marable, Charlene Mitchell and Angela Y Davis were from the Communist Party offshoot Committees of Correspondence, While Bill Fletcher and Cornel West represented DSA. 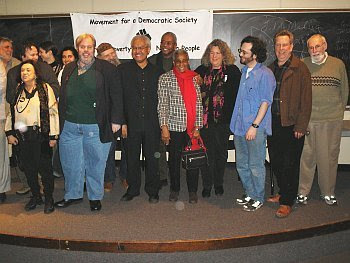 Marable, Mitchell, Davis, Fletcher, West, Barbara Ransby and Robin Kelley would all re-unite in 2007 when they joined the board of Movement For A Democratic Society (MDS)-an alliance of CPUSA, Committees of Correspondence and DSA with key founders of the Weather Underground including Mark Rudd, Jeff Jones, Bernardine Dohrn and Bill Ayers. MDS board partial roster February 2007. Mark Rudd, far left, Manning Marable, center, black shirt, Charlene Mitchell, center red top, Jeff Jones, second from right. In early 2008 several MDS board members, including Bill Fletcher, went on to found Progressives For Obama. In April 2002, a conference Intellectuals: Who Needs Them? was held at the University of Illinois. Salim Muwakkil, Cathy Cohen and Ransby were all leading founders of Black Radical Congress. Ayers, Obama and Ransby were all former New Yorkers. The late Richard Rorty was a member of DSA's Religion & Socialism Commission. 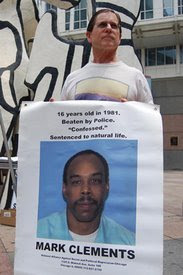 Black, a personal friends of Barack Obama is a DSA supporter and serves on the Committees of Correspondence advisory board with MDS board members Angela Davis, Manning Marable, Noam Chomsky and Ella J Baker Human Rights Center supporter Elizabeth "Betita" Martinez. In 2004 Bernardine Dohrn wrote a glowing review of Barbara Ransby's book "Ella Baker and the Black Freedom Movement: A Radical Democratic Vision"
Ella Baker was close to the Weather Underground in the mid 70s. She was also the inspiration for the Oakland based Ella J Baker Human Rights Center, founded by Obama's recently appointed " Green Jobs" advisor Van Jones-who in turn is linked to former Weather Underground supporters Jon and Nancy Frappier. Van Jones also attended the 1998 Black Radical Congress, while still a leader of the communist organization Standing Together to Organize a Revolutionary Movement (STORM). In fact Van Jones got to work with Angela Davis. Even Barack Obama's then spiritual guide Rev. Jeremiah Wright participated in the Black Radical Congress. Kevin Tyson was formerly a leader of the Communist Party's youth wing Young Worker's Liberation League. Dyson and West were both active in DSA's Religion & Socialism Commission. 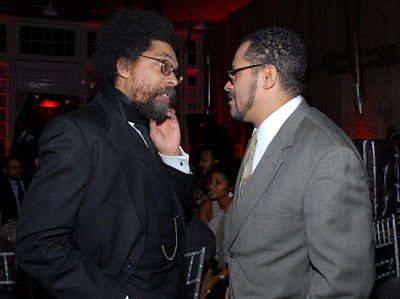 In 2008 Barack Obama appointed Cornel West to his two member Black Advisory Council. “The election of Obama was a millennium transformation, and we’re in a new historical conjunction in 2009,” noted Davis. “In a short period of time so much has changed,” she said. Given the current economy there is a very serious crisis erupting in the capitalist system, said Davis. “Many assume Obama is going to save capitalism, but a lot of us here have other ideas about changing the system,” said Davis. Davis came to national attention in 1969 when she was removed from her teaching position at UCLA as a result of her social activism and her membership in the Communist Party USA. In 1970, she was placed on the FBI’s Ten Most Wanted List on false charges of murder, kidnapping and conspiracy. During her 16-month incarceration, a massive international “Free Angela Davis” campaign was organized, leading to her acquittal in 1972. Incidentally Davis's lawyer was Haywood Burns, founder of the the "legal arm of the black revolution" the National Conference of Black Lawyers-an affiliate of the Soviet front International Association of Democratic Lawyers. Burns had close ties to Cuba and was involved in several other communist fronts including the National Lawyers Guild, Center for Constitutional Rights and the Emergency Civil Liberties Committee. After successfully defending Angela Davis, Burns went on to marry Jennifer Dohrn, sister and supporter of terrorist Bernardine Dohrn. 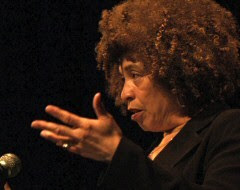 NAARPR was organized from the organizations formed to support Angela Davis.It was led by Communist Party members and supporters including Davis herself, Charlene Mitchell, Anne Braden and Frank Chapman. By the early 1980s Frank Chapman led NAARPR and represented the organization in another Communist Party front, the US Peace Council. Chapman served on the Peace Council executive alongside several party members, including future US Congresswoman Barbara Lee and Chicago activist Alice Palmer. Later a Democratic Illinois State Senator, Alice Palmer employed Barack Obama as her chief of staff. When considering relinquishing her State Senate seat to run for US Congress Palmer chose Obama to succeed her. She introduced her aide to the Chicago left, starting with a gathering at the home of Bill Ayers and Bernardine Dohrn. Also in attendance was the Obama family's doctor and friend, DSA member and former communist Quentin Young. When Palmer lost her Congressional bid, Obama refused to stand aside and got her disqualified from the ballot on a technicality. Palmer's friend Timuel Black was called in to mediate and ended up becoming an Obama supporter-even joining Obama's campaign committee during his 2004 US Senate race. Before the Palmer/Obama relationship collapsed, both joined the Chicago branch of the New Party. The New Party was an alliance of DSA, Committees of Correspondence and the radical community organisation ACORN. Nationally the New Party was led by such familiar names as Manning Marable, Bill Fletcher jnr, Cornel West, Noam Chomsky and Quentin Young. The New Party was designed to gather left wing support for "progressives" standing on the Democratic Party ticket. In Chicago Obama worked closely with New Party activist Carl Davidson (a Committees of Correspondence leader, Progressives For Obama founder and long time friend of Bill Ayers) and DSA member Danny Davis. Today NAARPR's strongest branch is in Chicago. it is chaired by Ted Pearson, former state chair of the Communist Party USA, now a leader of the Committees of Correspondence and a supporter of Progressives For Obama. NAARPR treasurer is Norman Roth, once also leading member of the Chicago Communist Party. In the 1970s Roth was a leader of the Communist Party front Alliance to End Repression with comrades Abe Feinglass, Jack Spiegel and Jesse Prosten. Other radicals active in the Alliance included Quentin Young, Timuel Black and Obama friend and across the street neighbour, the late Rabbi Arnold Jacob Wolf-another member of DSA's Religion & Socialism Commission. Another leading Alliance member was journalist Don Rose, who with another former communist David Canter went on to mentor Obama campaign manager and White House advisor David Axelrod. 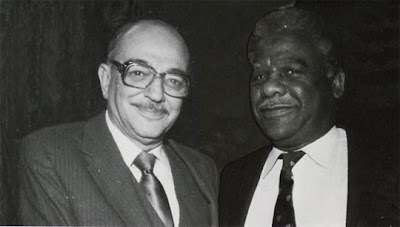 Rose, Canter and Axelrod all played leading roles in the 1983 election of Chicago's first black mayor Harold Washington. DSA and the Communist Party both backed Washington, creating a movement which later fell in behind Barack Obama. It was Washington's victory that inspired Barack Obama to first move to Chicago in 1983. David Canter worked with Obama in the DSA infiltrated Independent Voters of Illinois. 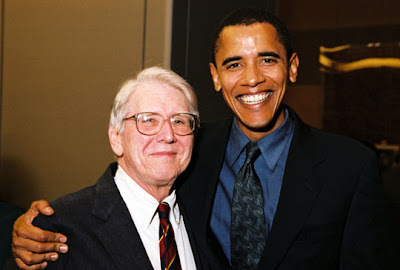 Don Rose worked with Carl Davidson to organize the famous 2002 Chicago peace rally where Obama first achieved fame as an opponent of the Iraq War. In January 2008 former NAARPR leader Frank Chapman wrote an intriguing letter to the People's Weekly World. I'm inclined to agree with Frank Chapman. What about you? I should also note that our friend Quentin Young besides being Obama's doctor was also called before the House Un-American Activities Committee to testify on the Weather Underground's activities in the 1968 DNC riots.